With its dark, rumbling soundtrack, lavish reserves of lowdown power and a searing top end, BMW’s new R1250R is as classy as they come. 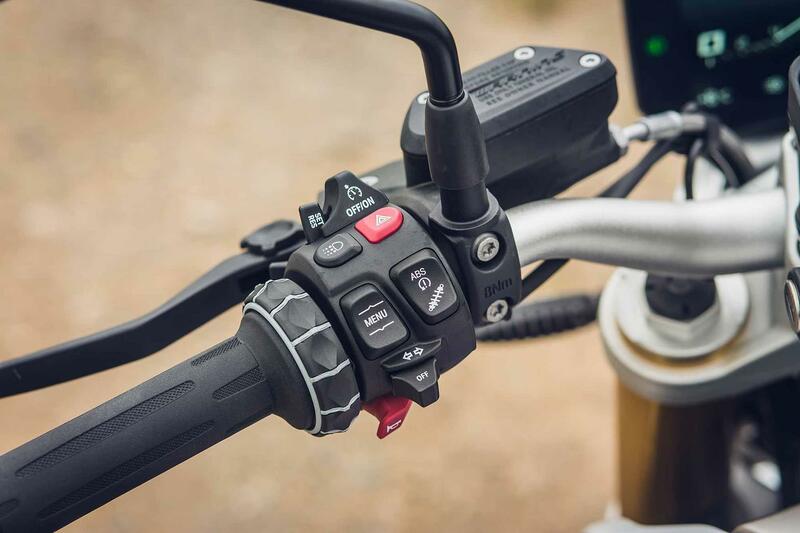 Its new Shift Cam boxer engine offers just the right balance of quirky refinement, transforming even the shortest journey into a grin-fest. Build quality is Tonka Toy-tough and standard spec is generous, but it’s pricey, especially loaded with extras and isn’t a big step on from the old 1200. There are no major changes in the chassis department, but that’s no bad thing. 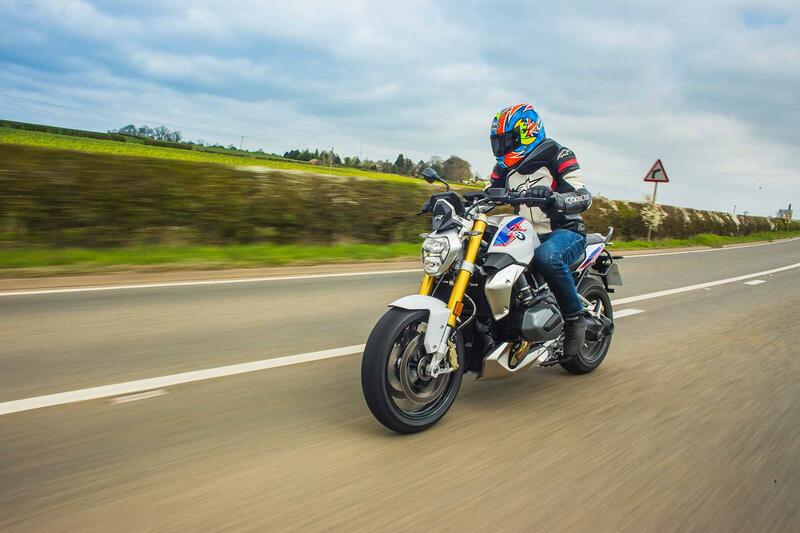 With its semi-active damping (adjustable through the multiple riding modes on our test bike), the BMW can be as motorway-floaty, soaking up the bumps, or racer-tough and crisp steering, depending on your mood. Like the old 1200, S1000RR-style 45mm upside forks replace the Telelever set-up of its sister boxers and give more feel tipping into corners. 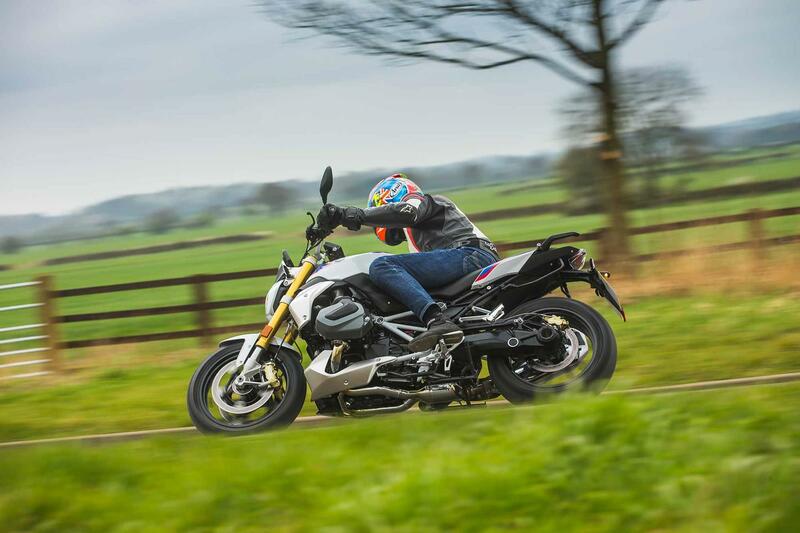 The way the R1200R rolls on to its side with the grace of an Öhlins-clad Tuono or Speed Triple RS is a testament to genius of BMW’s test riders, the grip of the Michelin Pilot 4 sports touring rubber and set-up of its shaft drive system. 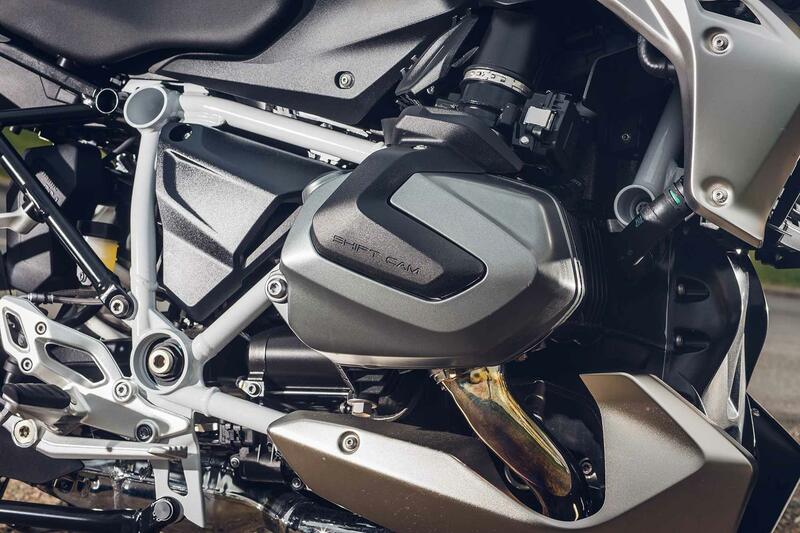 In a move that had the internet buzzing with incredulity, BMW’s new generation Shift Cam boxers and even its new flagship S1000RR superbike have dumped their Brembos in favour of BMW branded calipers, made by American brake maker Hayes. The reality is that BMW aren’t stupid and these new calipers are every bit as good as before, but the good news for purists is the R1250R still wears its golden (cornering ABS-equipped) Brembo jewellery with pride. They’re superbike-strong, reassuring and add to the roadster’s exotic feel. A special mention must go to Beemer’s brilliant rear brake, too. In many ways this is the purist of all the BMW’s boxer twins. Stripped down to its bare essentials it might still be a very heavy machine by sports naked standards (239kg fully fuelled), but it’s uncluttered by the bulky adventure and touring clothes of its sister machines. It’s the most agile of the family, the briskest accelerating, best braking, easiest to get your feet flat on the floor at a standstill and the most fun. A comfortable, spacious riding position makes all day riding a doddle, but with zero wind protection you’ll get the full force of the wind and weather at speed, but BMW offer an optional fly screen - a must for big trips. BMW has stretched power at both ends with an extra 84ccs and a clever new variable valve timing 'Shift Cam' system. Power is up 11bhp to a healthy 134bhp and torque is increased 14ftlb to an even more impressive 106ftlb. At gentle throttle openings and below 5000rpm the boxer engine sits on its mild, low-lift cams and delivers flawless grunt from as low as 2000rpm. Ask for more power and the camshafts obey by snapping across the top of the engine, in just five milliseconds, delivering the kind of hairy cam acceleration that makes the roadster think it’s a mono-wheeling S1000R. With its pokey-out cylinder heads BMW’s boxer engine sticks two fingers up convention. But don’t be fooled by its strange looks because the Bavarians have refined this flat twin to perfection and made something work well exceptionally that shouldn’t, like a Porsche 911. It has the seamless thrust of a blueprinted race engine and a growling, rhythmic chocolatey exhaust growl to match. Throttle pick-up is flawless, even at town speeds and there’s enough oomph from the motor to stick it top gear and leave it there all day. Or, you can slice through the gears and visit the motor’s dark and angry side. Our online Owner’s Reviews don’t reveal any major problems, but servicing costs are on the expensive side. 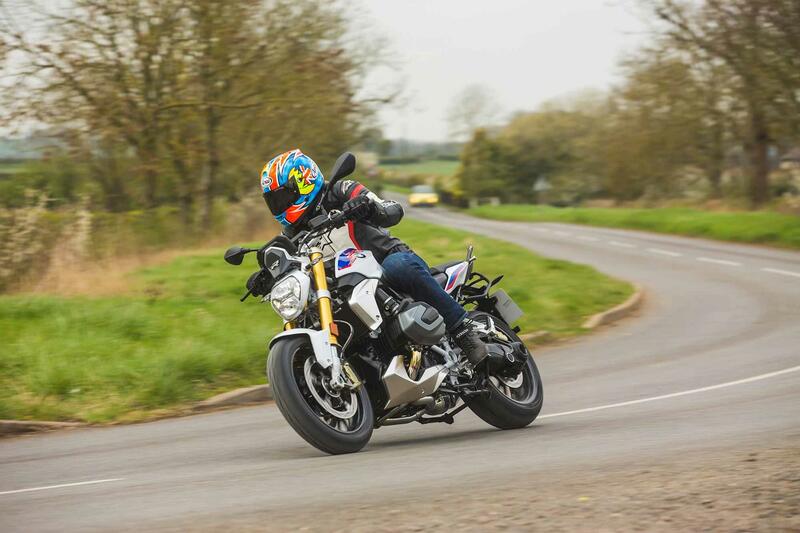 Even in standard trim the R1250R is big money for a naked and pricier than a Yamaha MT-09SP and top spec Triumph Street Triple. Throw in some accessories and you could get yourself a supernaked for the same money. A 6.5-inch colour screen, traction control, road/rain riding modes, LED daytime running lights and an automatic hill start control are standard on the base machine. 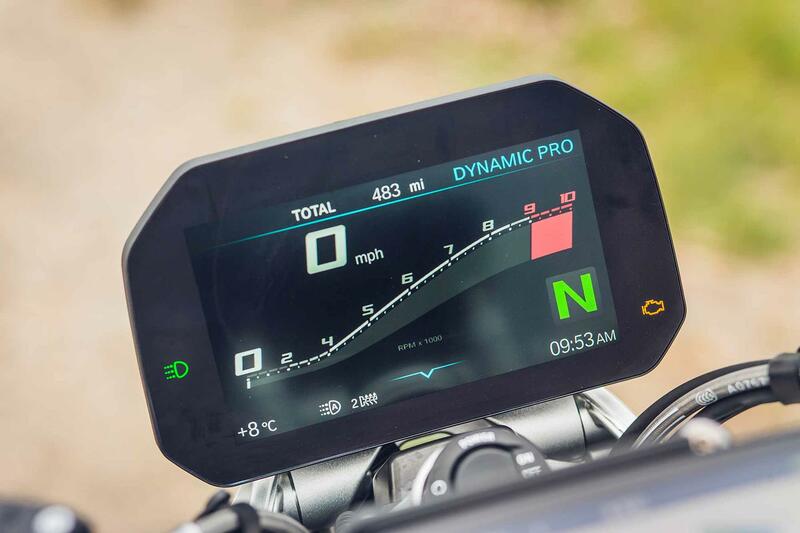 Using technology from the new S1000RR, the R1250R’s satin-fronted, colour dash is clear and easy to read at a glance, packed with information and even records lean angle, braking and acceleration force during your ride. This R1250R Sport test bike has extra riding modes, an up/down quickshifter, engine spoiler, HP paint and accessories, including heated grips, electronic suspension, cruise control, centre stand, pannier brackets, chrome exhaust, alarm and emergency call service. 2015: Uprated air/liquid cooled boxer engine, ride by wire and conventional upside down forks replace old Telelever front end. Enough optional extras and electronics available to turn it into the ultimate tourer and sportsbike, all rolled into one. There are no other versions. 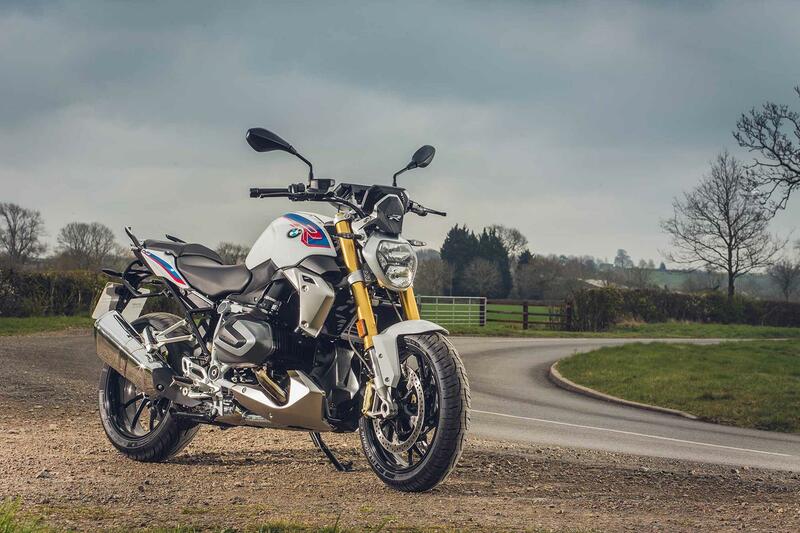 No owners have yet reviewed the BMW R1250R (2019-on).